Corey Sayles, age 36, of Odessa, Texas, and currently residing in San Francisco, California, has been training three years. 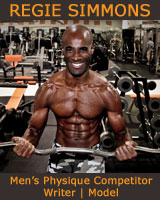 Sayles is an NASM certified personal trainer, working on his BS in kinesiology. 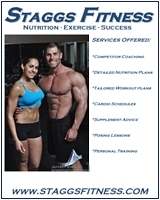 He is a personal trainer and the general manager of Alex Fitness – Castro. Thanks for joining us today and congrats on a great showing! What made you decide to compete in the Men’s Physique Division? Thanks. I was that geeky, nerdy kid in middle school and high school who never really excelled in anything athletic. About five years ago I did my first long-distance bike ride, the Seismic Challenge, a two-day ride around the Bay Area supporting the SF AIDS Foundation. It was a challenge to get prepared to be on my bike for two days, yet I realized that I was indeed more athletically inclined than I thought I was. I finished that event and went back to lifting, not really intending on doing another bike ride; however, I signed up for AIDS/LifeCycle 11 in 2012. During the training for the ride, I worked on my strength training but didn’t spend a lot of time “in the saddle” on my bike on the road. I saw many other participants on their bikes each weekend doing SO MUCH. I became a little discouraged, yet I kept doing my pre-ride preparations. I listened to veteran riders who encouraged me to lift and work on core strength as well as endurance training. Fast-forward to Day 2 of the ride… The weather forecast predicted 20% chance of rain as we rolled out of Santa Cruz, CA, that morning. By the time we got to our second rest stop around 11:00 am, we were all drenched. I just kept pedaling toward our lunch point. I realized that while I was shivering and hyper focused on staying on the road while semi-trucks full of strawberries and garlic blasted by, that I was a damn good athlete! Wait, what? I finally realized that I was a great competitive athlete – that all the time in the gym, and all the motivation of the prior months had led me to this point. I realized I was having a blast. Despite my merry mood, the road conditions were so bad and the weather was so cold, that the course was closed while I was at lunch. Fast-forward to late 2012. I’d left my job working in gay men’s health a couple months before to focus on me and my well-being for a change. I had followed a few IFBB Pros on Twitter and decided to give Ryan Hughes’ Blast For Mass Program a try. I’d never been able to dedicate myself fully to one program for any length of time, but this time was different. I wrote out my workout plans for 12-weeks. I made notes in my workout journal of my mood, motivation, and energy levels. After 40 days, I compared my first selfie to the one I took after an especially brutal workout. I was leaning out and seeing progress. It was then I was hooked. In February 2013, a family member was very sick requiring all of us kids to return to Virginia to visit this person. Emotions ran from joy to complete, utter sorrow. One thing I made sure I did each day of this trip was to go to the gym. I returned to my hotel room each night exhausted and centered. After only a few days in Virginia, I returned to San Francisco very depressed. I only left my room to walk my dog, to work out, and to eat. Then one day, as I was trying to break through my walls of doubt and depression I asked myself a simple question: what do I want to do with my life? That led me to ponder the next life shattering moment: What did I want to be when I was a kid? As I remembered back to being 12 years old I knew I wanted to be a bodybuilder. I smiled to myself and wrote down two things which would be my goals: 1. To place in the top 3 of a Men’s Physique show by April 2014; 2. To become an IFBB Pro by 10/5/17. I decided to do Men’s Physique because I like the aesthetics of this division. And it seemed more attainable for my stature than any other division. My first show was April 12th,the Fresno Classic. I competed in the Master’s division. There were lots of amazing athletes. Thank God for #hashtags! I met some of the people I’d started to follow on Instagram and Twitter. A couple of guys were just as nervous as me. A friend and fellow member of my gym did the show, too, so we were able to hang out backstage. I was the first in my class to take the stage. Thinking back, I will check-in later the day before the show so I’m not the first out there! I remember being all smiles. It was an awesome accomplishment to stand on stage knowing that all the work meant something. Friends of mine were yelling my name and that felt great. I was hoping that my posing was on point; I have tendency to look like a scarecrow. But I remembered to smile, dammit. After pre-judging, I high-tailed it to Starbucks to get a coffee. Oh, and then to Cheesecake Factory. At the end of the day, I didn’t place as high as I would have liked. But I completed my first show. I realized how much I didn’t know. Personally, I was astounded that I followed through on a goal I’d worked so hard on. I was proud of myself for prepping myself naturally through working with Ian Lauer and Team ILIFT. As for other athletes, there were many that brought their A-Game to the stage! I definitely left the Fresno Convention Center knowing that I’m going to do many, many shows in the future! I’m fairly new to this line of work, so I’m excited that I’ve done a show, and will continue down this path for a while. I’m learning that I can be a fitness entrepreneur – that competing is one component of my overall career. Typical daily eating plan: Whatever Ian tells me! That I can be my biggest competitor/cheerleader! My coach Ian Lauer, Ben Pakulski (because he debunks “broscience”), my boss, Alex Shulatnikov, and friends including Todd Hellings of Active Nutrition. Sports: Beyond lifting, nothing right now. Knowing that I can continue to impact my own life in a positive way while helping others along the way.